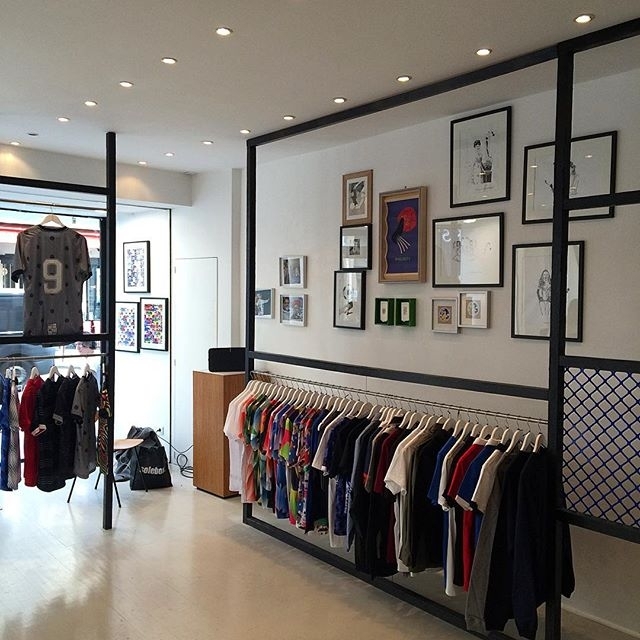 Open for one month during the Euro 2016 football tournament, La Galerie du Ballon, a pop-up shop in Paris, was the go-to football gear emporium for fans interested in a wholly different side of football. 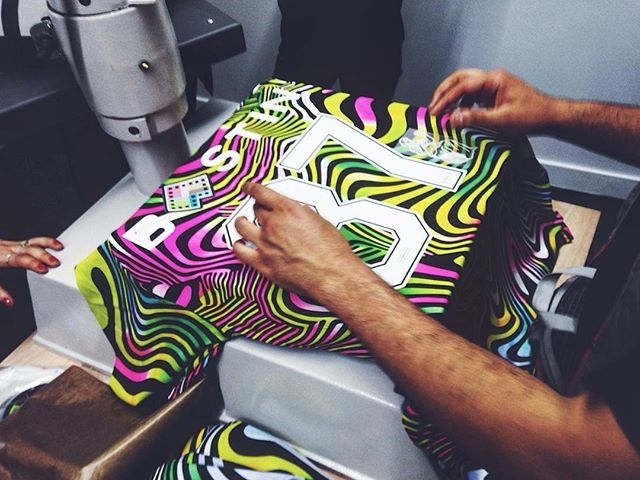 Football culture and goods curated like a Robert Rauschenberg retrospective at the Whitney. Yes, it was that good. 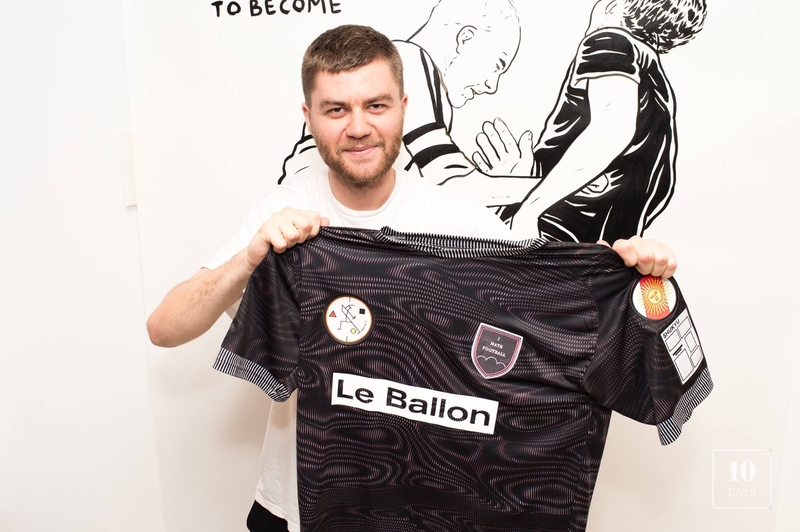 I had the pleasure of designing two football shirts for Le Ballon, a Parisian amateur football league which has since become synonymous with style as much as it has football. 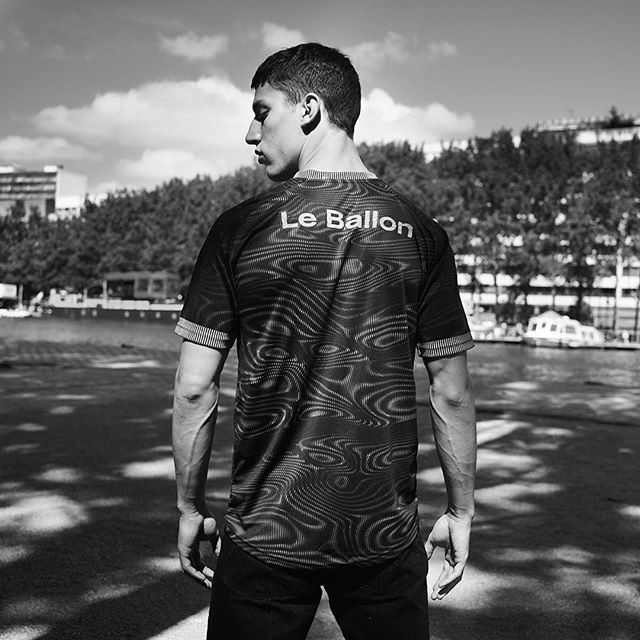 Both shirts are inspired by Le Ballon’s corporate identity of a linear dazzle camo pattern. 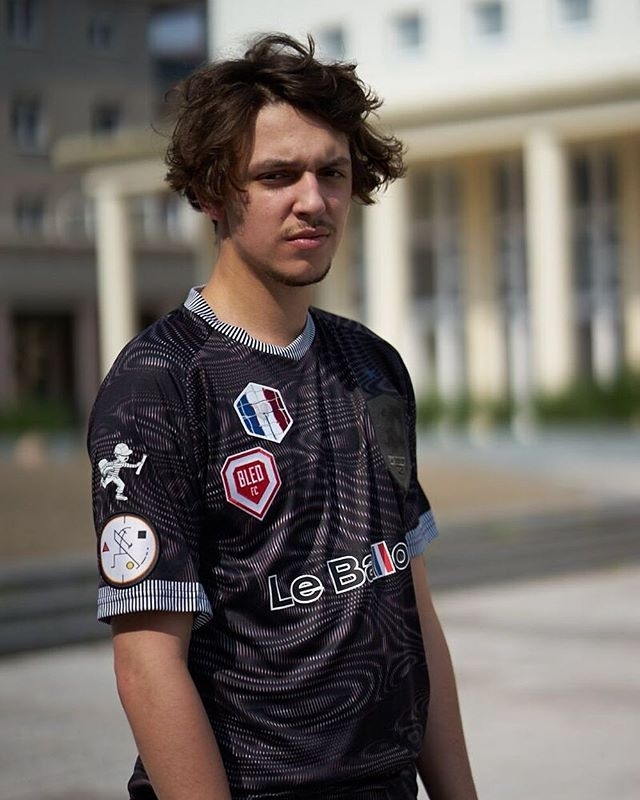 The black shirt has a psychedelic ultra moiré pattern with blue and red shadows, inspired by the league’s French roots. 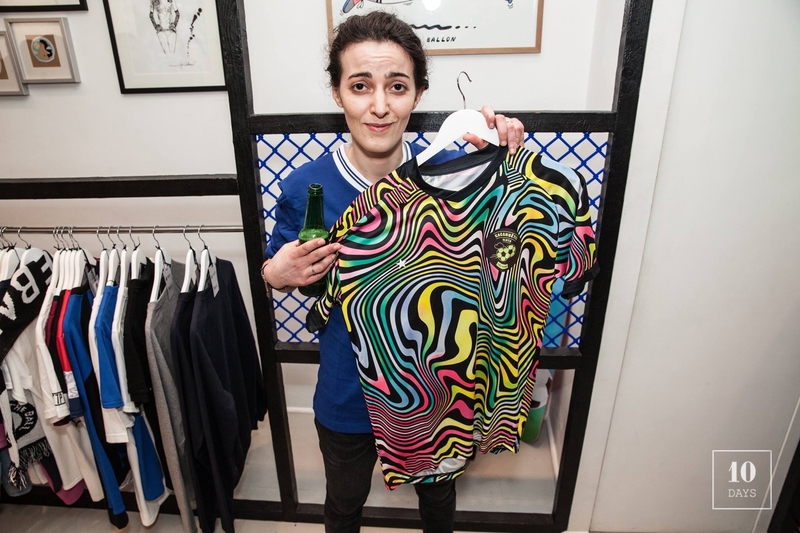 The second shirt is an homage to a figure at the cutting edge of football shirt design….Jorge Campos, legendary goalkeeper of the Mexican national team, who, in his own right, was a visionary kit designer. 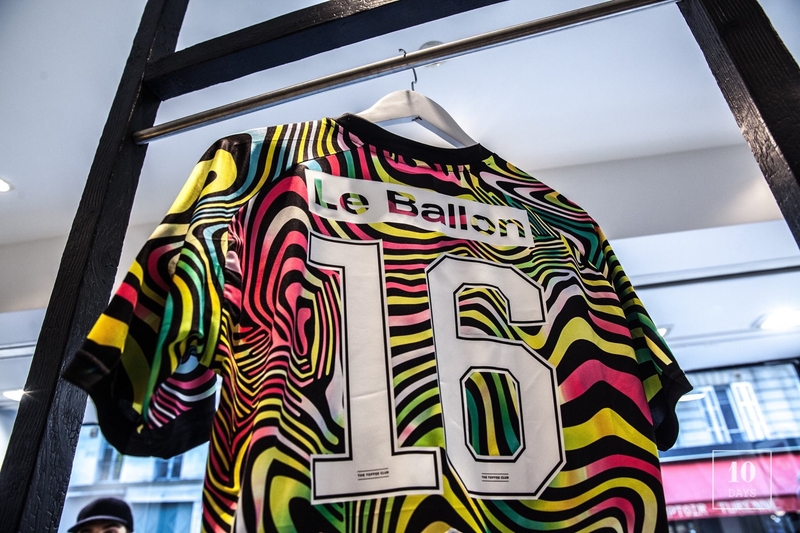 The pattern also plays off the Le Ballon corporate identity, splashed with more neon than an 80s boardshort. 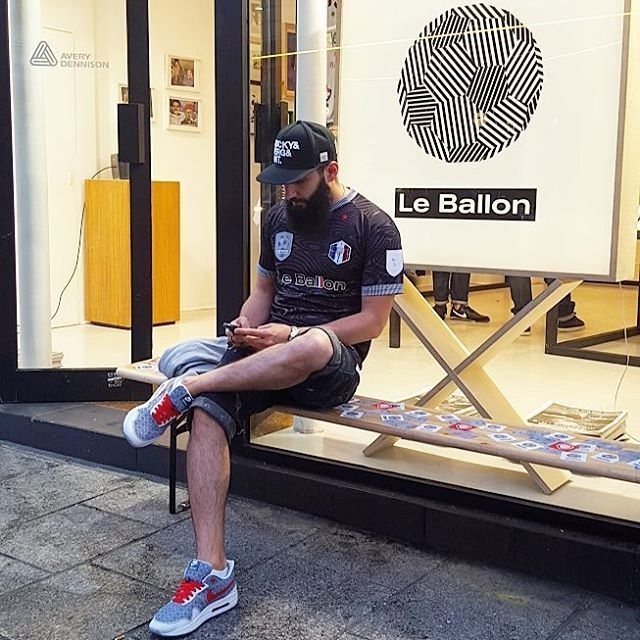 Upon purchase of a Le Ballon shirt, customers were given the opportunity of customizing their bespoke football shirt with some stunning badges and name/numbering created by the wide range of designers that Le Ballon has brought together. 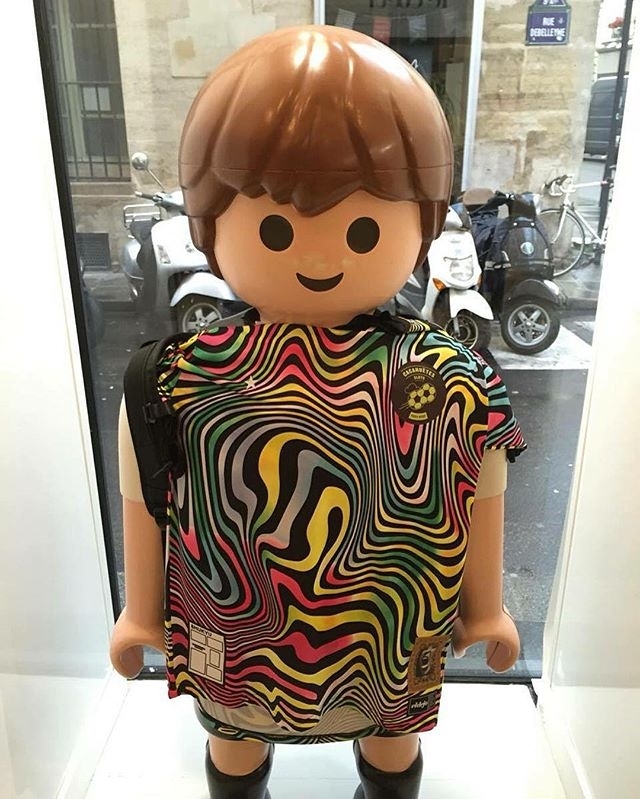 And the creativity in customizing was surely not lacking.